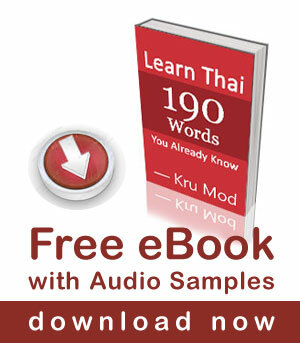 We have learned so many Thai lessons and you want to use it in real life with a native. However sometimes some Thai people speak too fast and you don’t quite sure what they are saying. Let’s practice these few phrases so you can continue your conversation with them smoothly. I am sorry, I don’t understand. 2. I can speak Thai a little bit. 3. Can you speak slowly please? chûai pûut cháa-cháa nòi dâai-mâi kráp/ká? 4. Can you say again please? “pûut cháa-cháa nòi si” does exist also? Yes it does. “สิ sì” is a particle used when you make a command, it makes you sound less friendly and more direct.